The Wanquan “river” in Beijing. Quartz / Lily Kuo. But these shortages are unevenly spread. The North Plain, a region home to a quarter of the population, and which includes Beijing, is especially dry. Here, water tables are falling by two to three meters a year (pdf, p. 194), according to the UN, and posing serious risks to agriculture and food security. 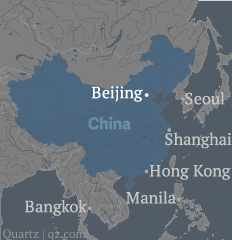 Of China’s 22 provinces, 11 were considered “water-stressed,” meaning they have less than 1,000 cubic meters of water per person a year as of 2012. One of the north’s main water sources, the Yellow River, has been shrinking for the past three decades, drying up almost every year before reaching the the sea. Hebei province, which neighbors Beijing, has seen 969 of its 1,052 lakes dry up; some of its farmers water their crops with sewage water. 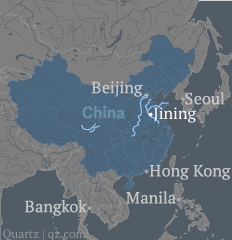 Wang Shucheng, a former minister of water resources, predicted that if groundwater extraction in the north continues at current rates, in 15 years there will be none left. 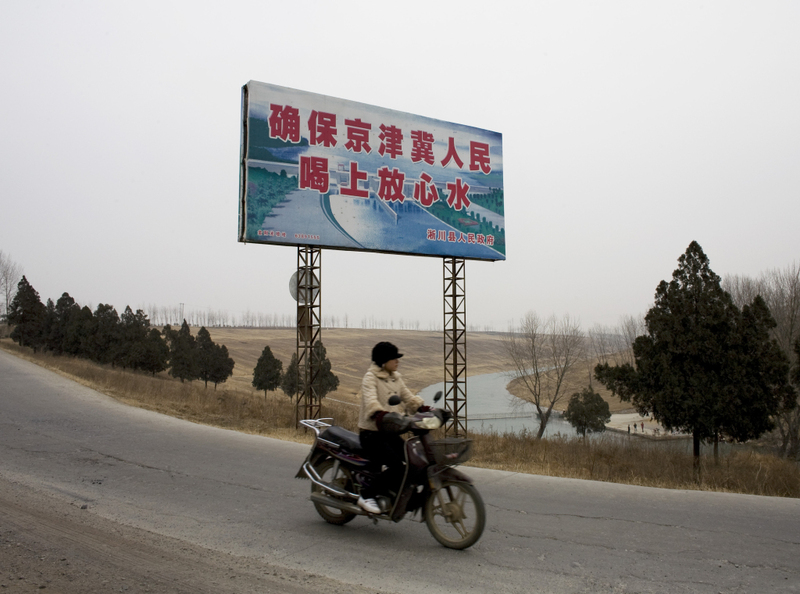 A sign says, “To ensure that the people of Beijing, Tianjin, and Hebei can drink safe water.” AP Photo / Andy Wong. 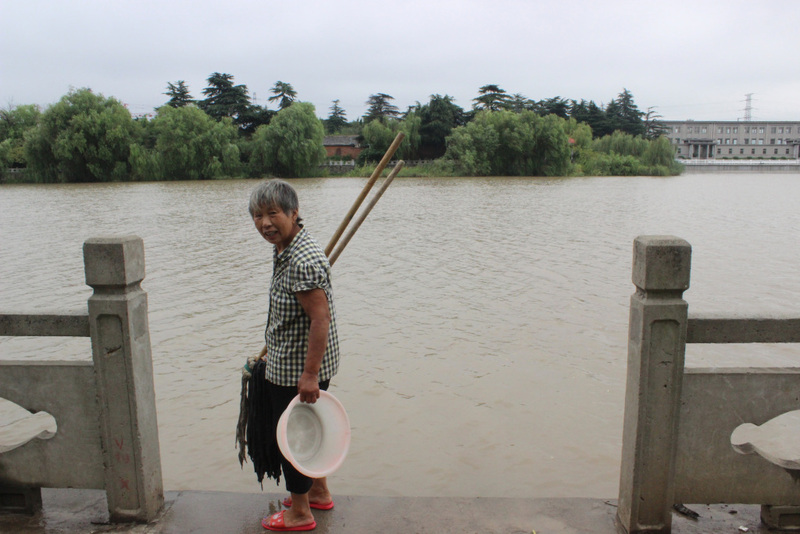 A woman washes cleaning supplies in the Yangtze river in Jiangdu, the beginning of the eastern route of the SNWDP. Quartz / Lily Kuo. 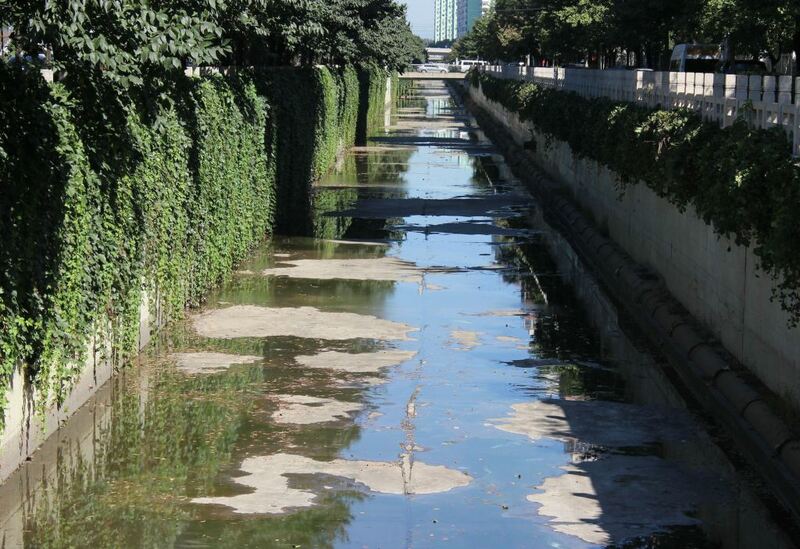 In Beijing, a fence guards a canal that will take diverted water into the city. Quartz / Lily Kuo. Officials say they can resolve any unforeseen environmental impacts after the system begins operating, in much the same way that problems caused by the Three Gorges Dam project are being addressed now. That’s not very comforting, given that the Three Gorges project has caused, in the words of China’s State Council, “urgent problems” including thousands of earthquakes and landslides and tens of thousands of extra people needing relocation. 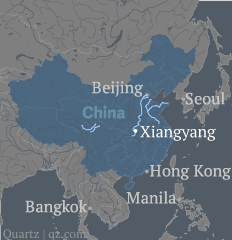 Earlier this month, China’s anti-graft body accused officials who helped run the dam project of corruption, including taking bribes and influencing the bidding process for projects. That figure, for all three routes, was already almost twice as expensive as the Three Gorges Dam. And, Shen tells Quartz, “that number is meaningless now… In the future, it will be far more than 500 billion.” Costs for the now completed first phase have almost doubled to 300 billion yuan from the earlier budget of 124 billion yuan, according to Zhang Jiyao, in an interview (link in Chinese) with Southern Weekend in October. 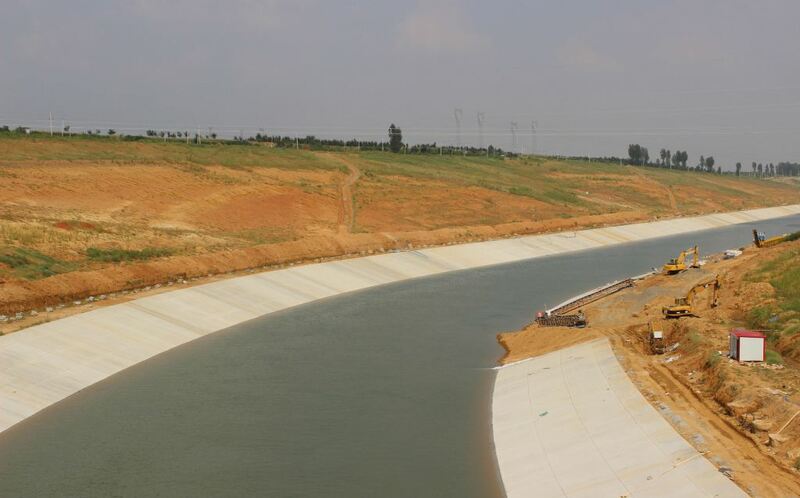 A canal along the central route of the SNWDP in Henan province. Quartz / Lily Kuo. 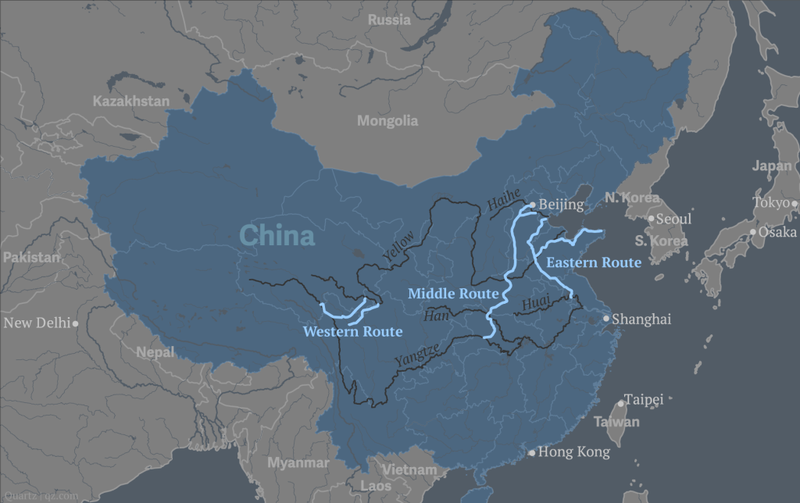 Read the second part of this series: China’s desperate need for water is forcing the relocation of hundreds of thousands of people. 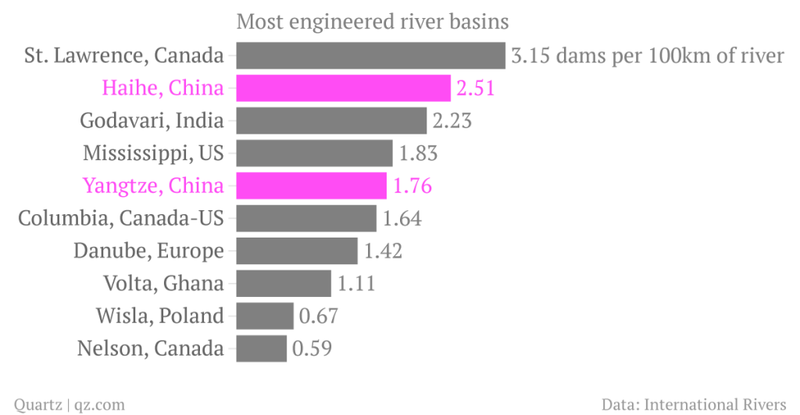 Conservation don’t generate GDP like mega water-pipeline projects do. And if the project fails, more can be done to increase the GDP.